General Motors (GM) salaried employees living in Allen, Kosciusko, Miami and Wells County may have a health care plan which accesses the new Anthem HealthSync network. 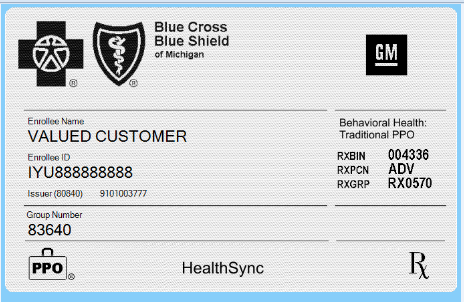 These members will have member identification cards issued by Blue Cross Blue Shield of Michigan with an alpha prefix of “IYU” and include the network name “HealthSync” on the front of the card. Mental Health and Substance Abuse Services use the National PPO (BlueCard PPO) Network for Level 1 benefits (90%/10% after the In-Network Deductible is met) in all states, including Indiana. 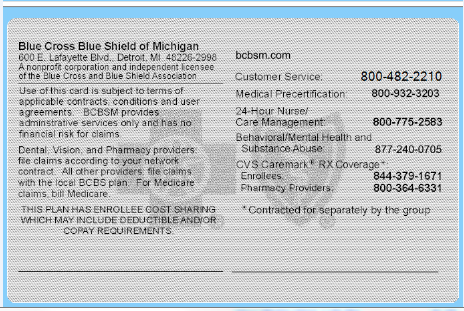 Precertification/Prior Authorization for these services are managed by New Directions on behalf of BCBS of Michigan/General Motors. NOTE: Medical services received within the state of Indiana must be provided by a provider participating in the Anthem HealthSync Network to be considered Level 1 (In-Network). Members traveling or living outside the state of Indiana may access the BlueCard PPO Network for In-Network (Level 1) Medical Benefits.